Easter , the time for eggs – chicken eggs , cadbury eggs , plastic eggs and even craft eggs. How can eggy breads be far behind ? You guessed it – I am on an Easter baking spree. 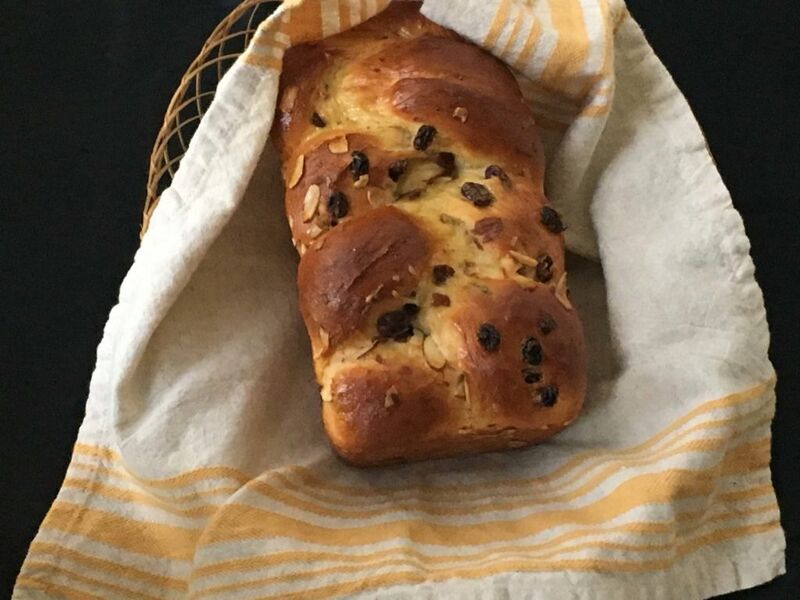 Today’s recipe is inspired by the traditional Easter bread of Bulgaria – Kozunak. Now, where do the eggs come in ? As it happens 😉 Kozunak is enriched with eggs, butter and milk. 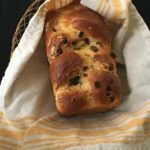 Easter or not, this is one bread I would love to make any time. Though it is called a bread , I am tempted to say that it is more of a yeasted cake. 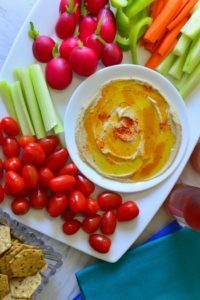 A slice of this is perfect as is – or you could make a beautiful skillet french toast or a peanut butter and banana sandwich with it too. The loaves can be made plain or filled with fruits and nuts. 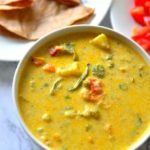 There are similar recipes in the neighboring countries with different names. The Romanian cozonac sounds similar , especially to an untrained ear like mine. It is usually a marbled bread with a nutty filling. 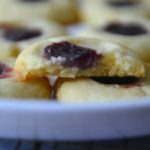 Another recipe to try ? The recipe for Bulgarian Kozonak I use is enough to make two 9 inch loaves. I usually add some kicked up raisins and almonds to one and keep the other plain. This is the plain Kozonak. Whether you like to keep it plain or not , it is a beautiful bread . Oh , did I mention that already ? Well it is a beautiful bread! The recipe here makes 2 loaves, but don’t worry , the bread freezes well. Cool, slice, bag and freeze. 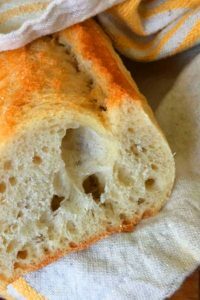 You could halve the recipe and use your bread machine’s dough setting to make the dough. Shape and bake in the oven or use the sweet bread program and make it in the machine. 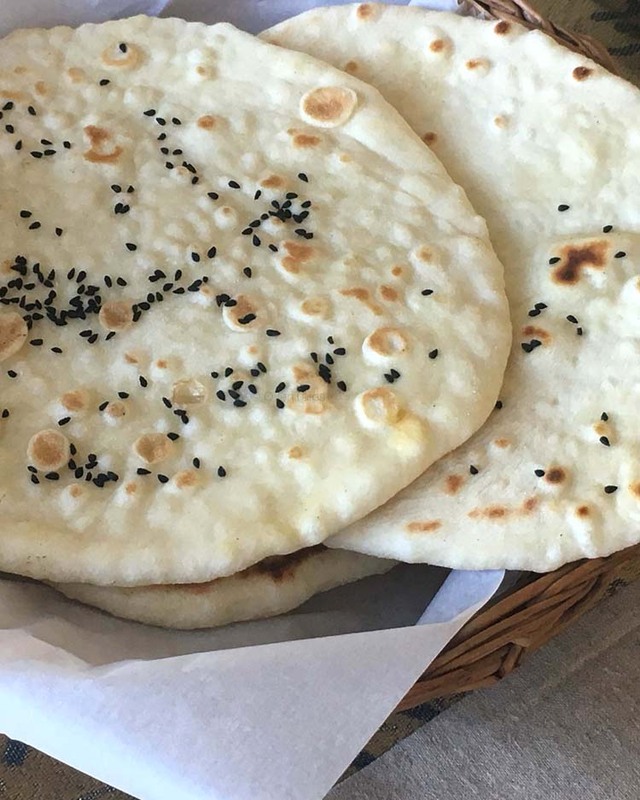 What you see above is the Kozunak dough . It is a little wet than usual. 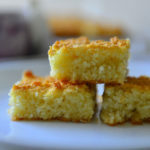 Many Kozunak recipes start with a sponge. I would have made one too, if I were not using packaged yeast. So instead I go the standard commercial yeast route and activate the yeast in 1/2 C warm milk mixed with 1 a little sugar. Many of the old recipes call for scalding the milk – this was meant for raw milk . If you are using raw milk make sure that you heat it til bubbles begin to appear and cool before using it in recipes with yeast. The milk should be at the yeast happy temperature – just warm to touch (around 110°F) – when you add the yeast to it. Set aside the mix for 5 to 10 minutes for the yeast to bloom. Reserve 1 to 2 cups of flour. Take the remaining flour and salt in a large mixing bowl and make a well in the center. Add the yeast mix and the eggs . Beat well and slowly start mixing in the flour to the wet mix, adding more milk as necessary. Once all the flour in incorporated add the sugar and softened butter. Knead everything together. The dough will be very wet at this point. Slowly add the reserved flour as you knead, just enough to prevent the dough from sticking. Knead for about 15 minutes. At this time the dough will still be wet and soft, but not sticky. 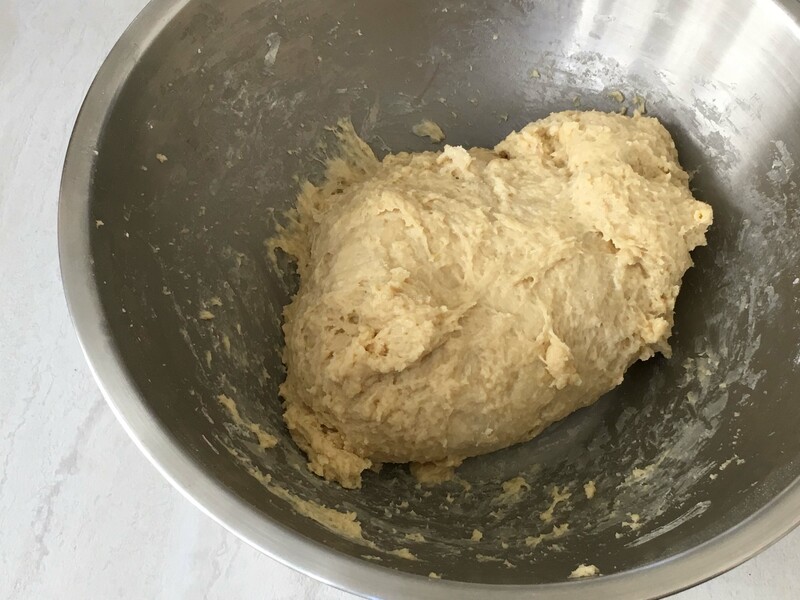 Knead in the stand mixer if you have one – or the bread machine. If planning to use the bread machine follow the instructions for the sweet dough, and use half the milk in the beginning . Check the a few minutes into the kneading and add the remaining milk as necessary. Remember , the standard home bread machines will be making only 1 loaf of bread – so use only half of the recipe here . 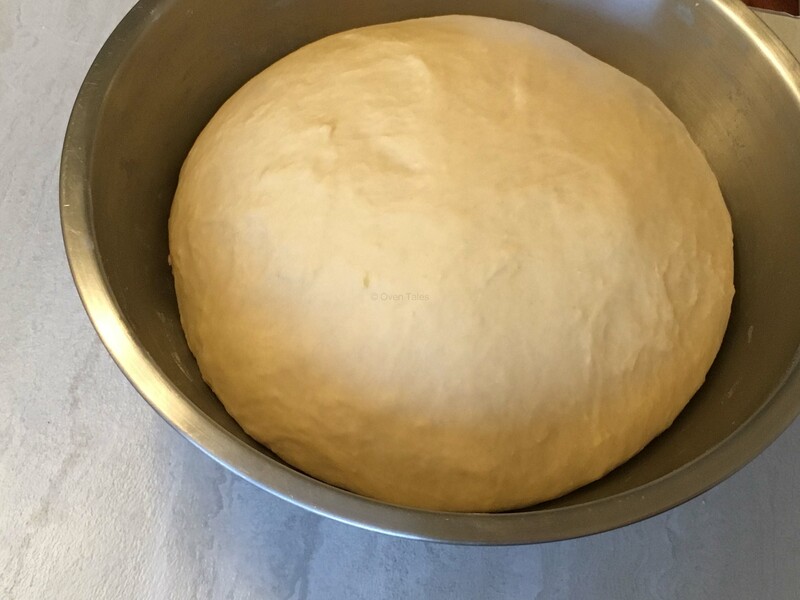 Form the dough into a ball and place in a greased bowl large enough hold at least 3 times the volume. Cover and let it rest in a warm place for 1 to 1.5 hours. This dough rises really well ,almost tripling in 1.5 hours. Do not let it rise any more though. Over rising will weaken or break the gluten strands. Punch down the dough. This is the time to add any died fruits or nuts. Divide the dough into 2 . Divide each into 3 equal sections. Form into a long ropes and make a 3 strand braid. 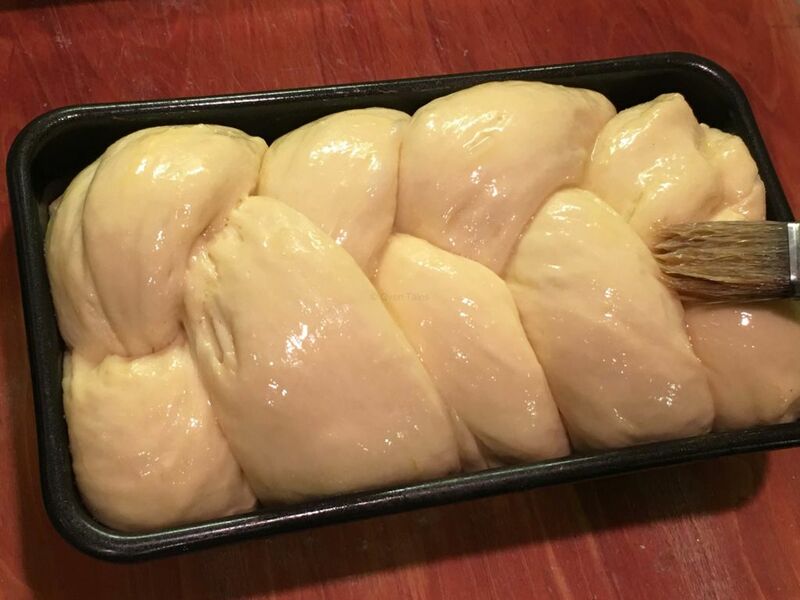 Place the braids in the loaf pans and cover. Check the video to get a better idea of shaping. Let rise in a warm place until the loaves are almost doubled. In this recipe using a 9″ pan the dough will just peek over the top of the pan. Pre-heat the oven to 350°F (175°C). Break an egg and into a bowl and beat well along with 1 to 2 tsp water. Brush the tops of the loaves with egg wash and sprinkle with sugar (optional). Bake for 30 to 40 minutes or till done. When done the tops would have browned nicely and the bread will sound hollow when tapped on the bottom . Another way to test is to insert a skewer into the middle of the loaf and it should come come out clean. Check the loaves around 20 minutes into baking. If the tops a re browning too fast cover with foil . Cool in pan for 10 minutes before turning out on to a cooling rack . Cool Completely before slicing . If planning to freeze slice and warp in a sheet of parchment/wax paper and store in freezer safe bags. Did someone say they wanted a slice ? Check notes for equivalent weight measurements . Heat the milk till it is warm to touch (110°F). Take half cup milk and mix in 1 Tbsp of sugar. Sprinkle the yeast on top and set aside for 5 to 10 minutes. The yeast should become active and froth up . Reserve about 2 C of flour (200g) and place the rest in a large mixing bowl. Add the salt and stir well. Make a well in the center of the flour and add the yeast mixture followed by the eggs. Mix the eggs and yeast with a spoon and slowly start to mix in the flour. Add the remaining milk a little at a time and keep stirring with the spoon until all the flour is wet. 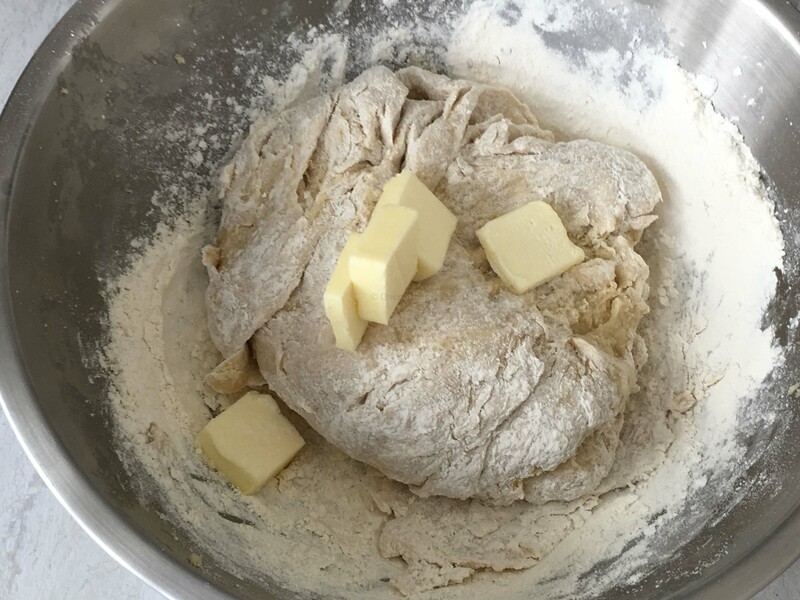 Add the softened butter and sugar and start kneading. The dough will be very sticky. As you knead add the reserved flour a little at a time until the dough is no longer sticky. Keep kneading for about 15 minutes. The dough should be soft and pliable. Form into a ball and place in a large greased bowl. Cover and let it rise for 1 to 1 1/2 hours till it has doubled. If using the raisins, place it in a bowl and pour the cognac/rum on top. Let these soak till ready to use. Squeeze out the excess alcohol out just before adding to the dough. Punch down the dough and divide into 2. If planning to add nuts/ dried fruits knead those in now. Form each section into 3 ropes of similar size and make a 3 strand braid. 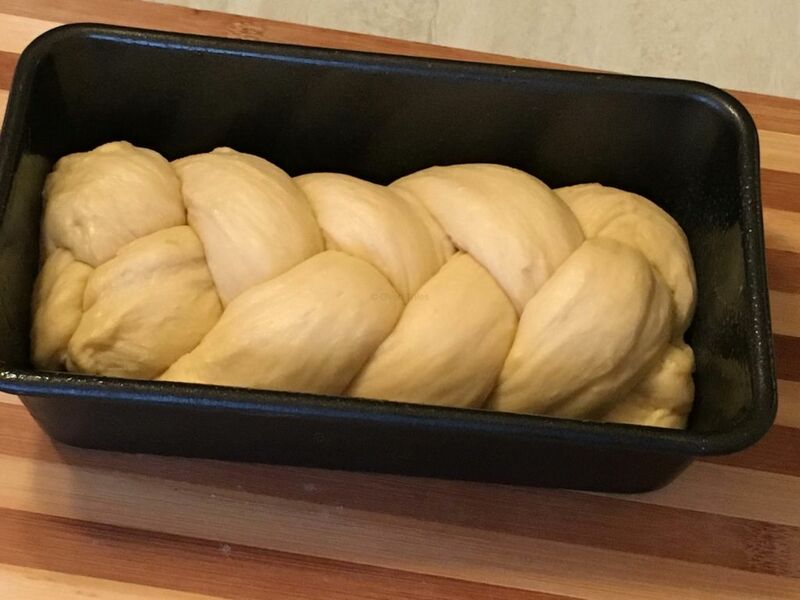 Place each braid in a 9 inch loaf pan and let rise for 30 minutes. Preheat the oven to 350°F(175°C). Break the egg for the egg wash into a bowl and add 2 tsp water. Beat well. Brush the egg wash on top of the risen loaves. Sprinkle the coarse/nib sugar on top , if desired. Place the loaves in the preheated oven and bake for 30 to 40 minutes or till done(see notes). Cool in pan for 10 minutes. Transfer to a cooling rack and cool completely. Use any unbleached, un-bromated high protein flour (AP Flour/ Bread Flour). The rough weight equivalents are - 750g Flour, 14g Yeast, 8g Salt, 100g Sugar, 230g Milk, 110g Butter. This is a recipe that you go by the feel. The amount of milk used depends greatly on the size of the eggs. You could make a giant loaf or mini loaves/buns as well. Adjust the baking time accordingly. The tops tend to brown faster , especially if your oven is small or if it has hot spots. Check on the loaves at around 20 minutes into baking to prevent the tops from burning. The sugar topping gives an extra sweetness to the recipe. Adding more sugar directly to the dough might interfere with the yeast activity. Here is a quick video of it all . 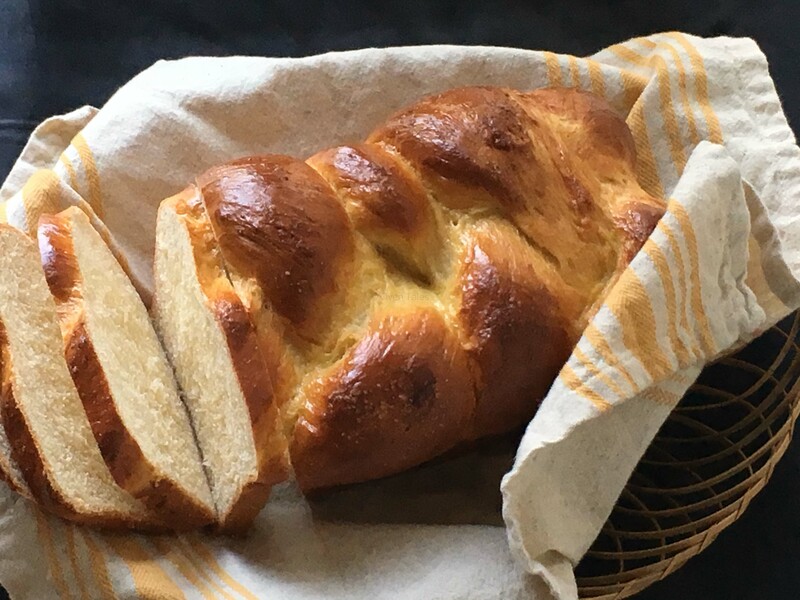 I love baking bread at home, and in fact just posted about homemade Challah bread. 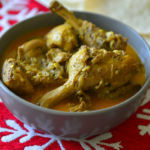 Havent ever made Kozunak but you make me want to give it a go. Absolutely love challah !!! This is a bit sweeter and softer, more like brioche. Give it a go , you will like it ! We have good friends from Bulgaria, so I would be curious to make this bread to see how it tastes. It certainly looks delicious! 🙂 I would love to hear how it turns out !! I love baking bread and do it most of the time in a week. This is my next! I’m such a klutz when it comes to baking — seeing such a beautiful loaf makes me wish I had more skill with dough.